During my semester abroad I experimented a bit with the great fuzzer american fuzzy lop (afl). Due to my background with the OpenClone project I was curious about the security of the Partclone partition imaging software. It didn't take long and afl found some crashes. I analyzed them, built proof-of-concepts and reported the issues to the Partclone project. Here you can find the full version of the first advisory. The vulnerability is fixed since Partclone 0.2.88. Stay tuned for a second advisory. I will delay its publication, since the vulnerability is not fully fixed yet. Update: CVE-2016-10722 was assigned to this issue. Partclone is a partition imaging tool supporting the FAT filesystem. The vulnerability is located in fatclone.c and bitmap.h. readbitmap() is prone to similar heap buffer overflows. the filesystem is truncated to 2048 bytes. Breakpoint 1 at 0x408d36: file fatclone.c, line 467. You are not logged as root. You may have "access denied" errors when working. The filesystem is 68 blocks long, so the bitmap will be 68 bits long. The bitmap buffer size is 16 byte (rounded to 64 bit integers). the most recent version at the time of discovery. Older versions are probably affected as well. As some may have already noticed I have published my Kismet package in the extras-devel Repository a few days. If you had already tried using Kismet on your N900 you will have noticed that Maemo Fremantle isn't using gpsd anymore. As a result the internal GPS is not available within Kismet. My package fixes that issue with experimental support for liblocation, the GPS library provided by Nokia for accessing the internal GPS unit. For all others I am currently working on a patched driver. I have already finished a workaround for channel switching, as there is a firmware bug for channel switching. Some tests showed the workaround is working and wardriving is really possible with the N900. Moreover I have to say it is working quite well for such a device, however it is not working as well as on Atheros cards. So stay tuned, I am going to release this driver soon. PS: For all awaiting package injection support for the N900 I have to say it may be possible sometime, but as the firmware doesn't like it very well I have decided to use the safer workaround for my patched driver. 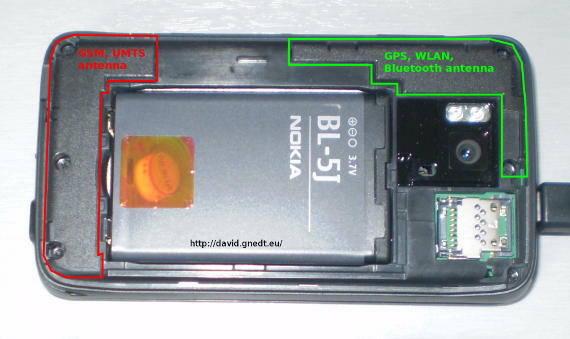 For all German readers, Jake has already posted something on his blog about Kismet on the N900. Today I have officially published the PHC kernel for Ubuntu 10.04 Lucid Lynx. The Linux PHC project provides cpufreq kernel modules for undervolting Intel and AMD processors on a Linux platforms. This gives you the ability to save energy, lower the CPU temperature and expand battery time. Welcome to my IT blog. Every once a while I will post some IT related stuff I am currently working on. Especially in the next time you can expect some posts about my new gadget, the Nokia N900. Somebody may wonder why this blog is in English. Although you're right my native language is German, I have decided to not write my posts in German. I thought it would be better to write in English, because English is the "universal language", which is understood by most people. Moreover it gives me the ability to practice some English.